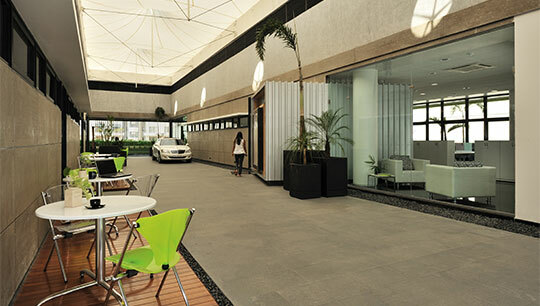 Carpet Area : 2400 ft. 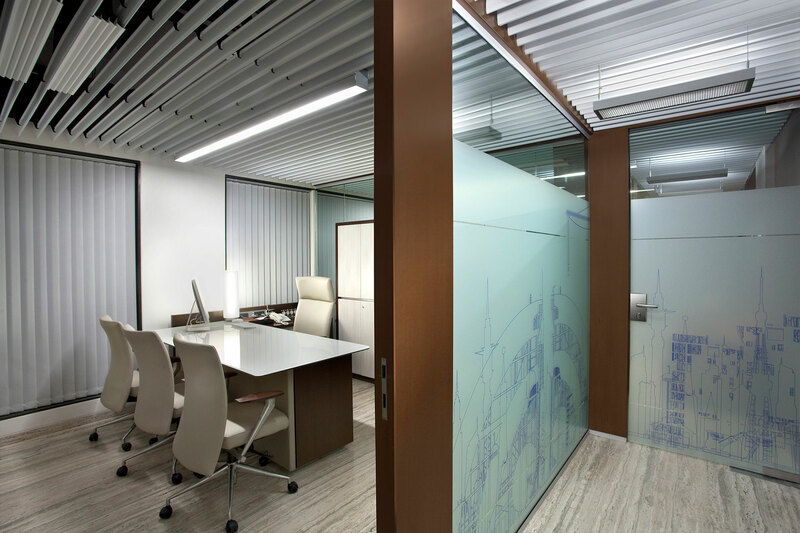 This small office, with its pragmatic layout, caters to the general functions of the client company, while achieving an elegant, luxurious finish. 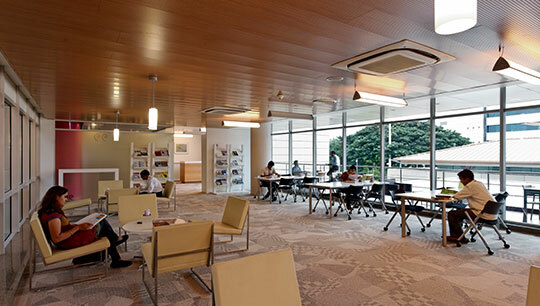 A simple segregation of functions places the reception and waiting lounge toward the center of the space, housing the waiting lounge and informal meeting room. 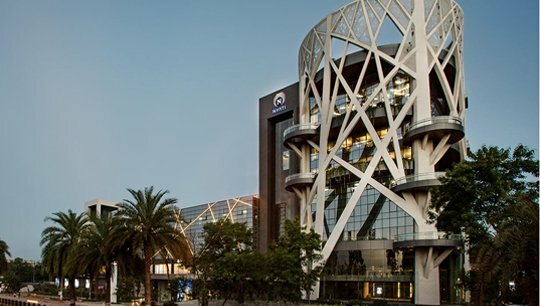 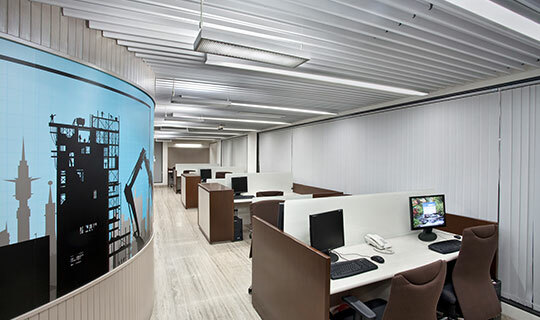 On one side of the central zone, lies the staff workstations and administrative office space, while the other end is occupied by executive cabins; ensuring daylight and views to every workdesk in the office. 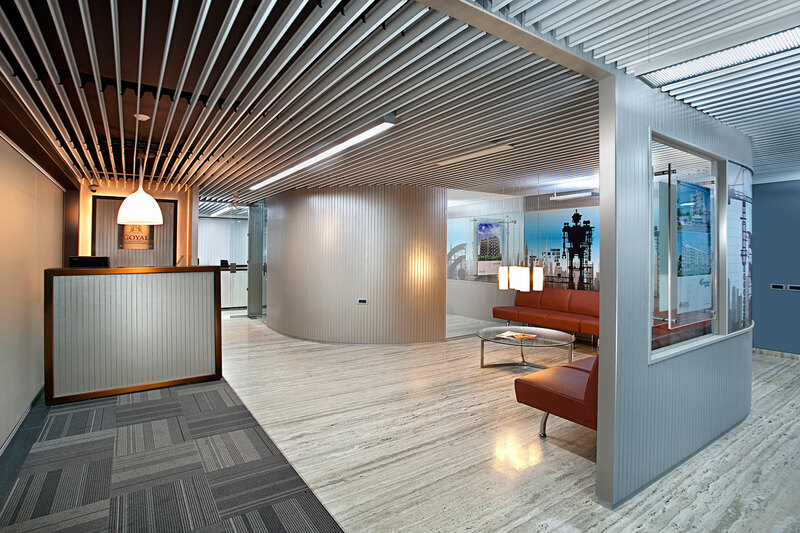 Service and utility areas are zoned behind the welcome zone. 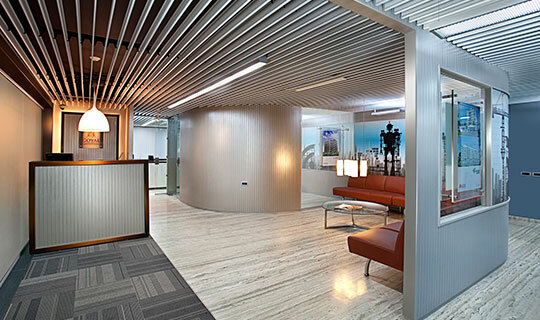 A louvered false ceiling design allows easy access to overhead services, while giving the office an industrial look. 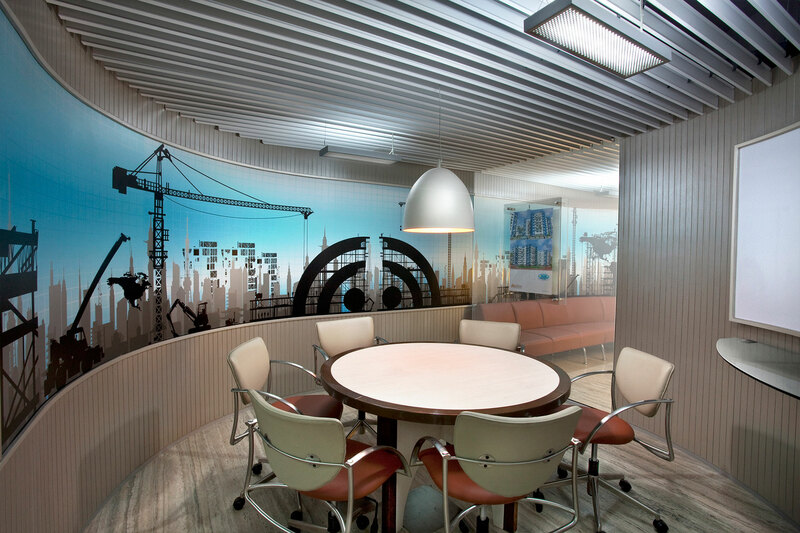 Eco friendly Medium Density Fiber boards are used in the creation of bespoke furniture,to complement natural stone flooring and leather furnishings. 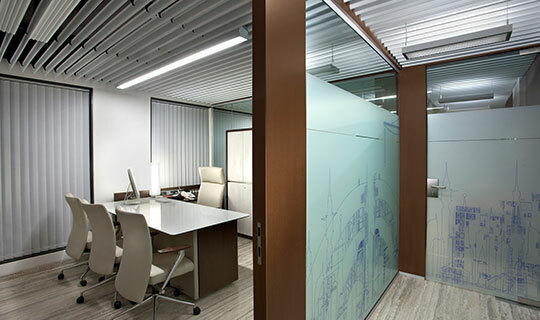 Large graphics incorporated on glass partitions allow privacy to the otherwise visually integrated executive cabins. 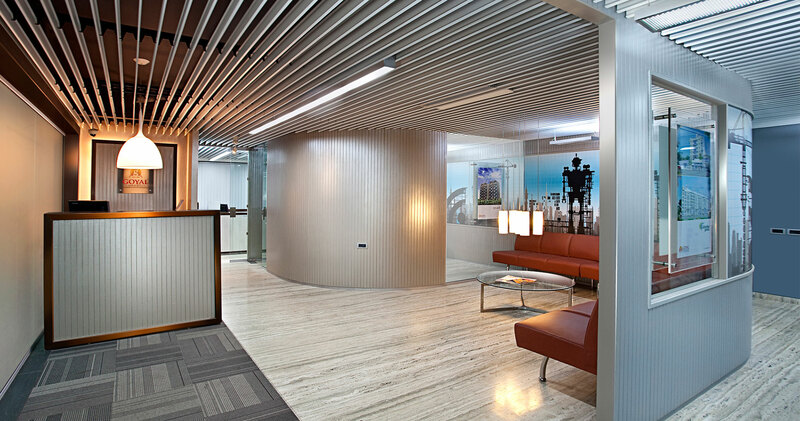 Customized graphic design lends the brand a corporate identity while uplifting the ambiance of the office. 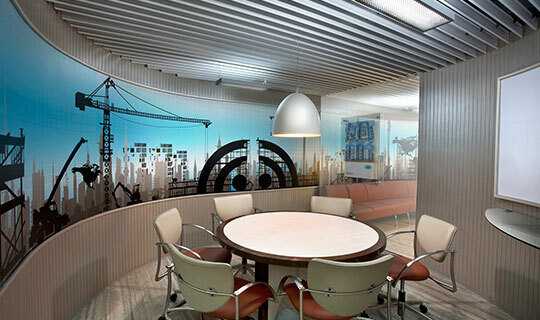 On large window surfaces, these graphics efficiently diffuse direct daylight and prevent glare into the workspaces. 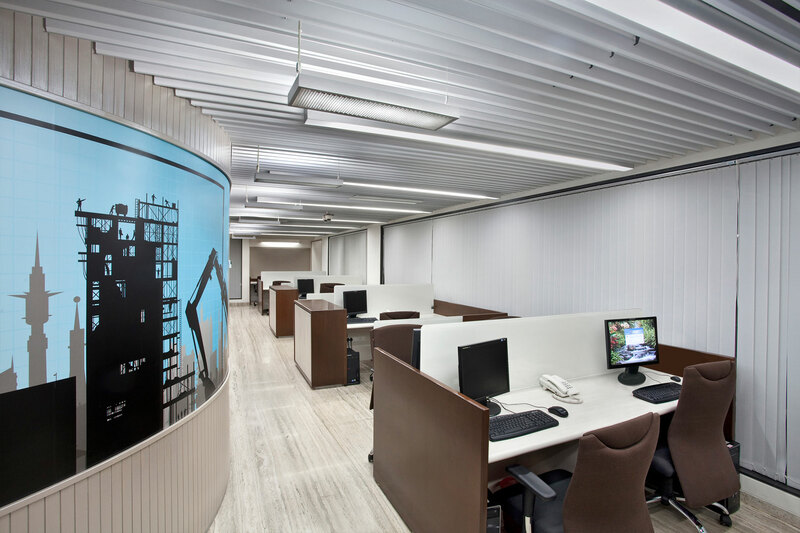 The office aims to achieve efficiency and productivity in its compact layout.